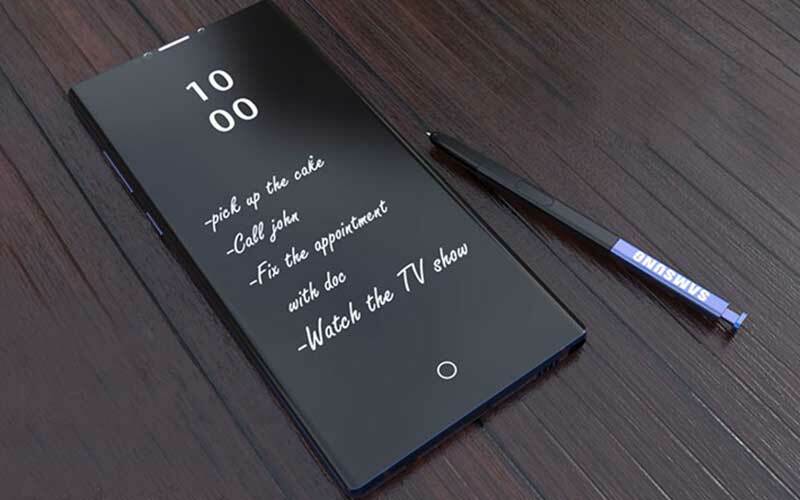 The Samsung Galaxy Note 9 will be with us in less than two months, as the company confirmed the device’s launch date yesterday. The phablet will mark Samsung’s second flagship launch of the year, as it will once again take advantage of time to compete against Apple’s iPhones, which are expected to launch in September. Today we’ve got a detailed report for the Samsung Galaxy Note 9 from a source that’s had a chance to lay his hands on the device. Eldar Murtazin of the Russian publication Mobile-Review confirms several details for Samsung’s upcoming phablet that have been floating around on the rumor mill recently. take a look below to find out more. One interesting detail that the source reveals today is that Samsung will not produce the Galaxy Note 8 anymore, as it believes against keeping two devices of the same lineup on the market. This will mark bad news for users who aren’t enthusiastic about flagship hardware and instead like to operate on a budget. It is particularly worrying as Samsung will not make any major design changes with the Galaxy Note 9 – therefore forcing users to purchase an older form factor at a higher price for the condition of owning a brand new device. According to Murtazin, the only major external difference between the Note 9 and the Note 8 is a horizontal rear camera setup with the fingerprint sensor now placed under it instead of on the side. The Galaxy Note 9‘s rear camera will sport a variable aperture setup that’s similar to the one found on Samsung’s Galaxy S9 lineup. Low light performance and improved stabilization are also present. Finally, Samsung’s also upgraded the S-Pen, which now has Bluetooth support and new work ‘modes’, which demonstrates the company’s intention of targeting business users with the device. Some of the earliest leaks for the Galaxy Note 9 suggested that the phablet will feature a rather hefty battery. Looks like these details are on point as Murtazin also confirms the presence of a sizeable power pack on the phablet. According to him, the Galaxy Note 9’s battery will have a 4000mAh capacity – a fact that’s also lead to the device weighing more over its predecessor. Additionally, the device will also mark for an important upgrade over the Galaxy S9/S9+. Samsung will also launch the Galaxy Note 9 with a massive 512GB internal storage variant, that will also utilize 8GB of RAM. Both the OnePlus 6 and Xiaomi’s Mi8 brought 8GB of RAM on smartphones and now, Samsung will demonstrate that its really only necessary on a phablet. Additionally, the Note 9 will also feature microSD support, so you really needn’t be worried about running out of storage on the device. Thoughts? Let us know what you think in the comments section below and stay tuned. We’ll keep you updated on the latest.